What are the major digital advertising trends in the US healthcare and pharmaceutical space? Which channels and tactics are brands increasingly devoting budget toward? A recent report from eMarketer—US Healthcare and Pharma Industry StatPack 2018 —tackles these questions in depth. 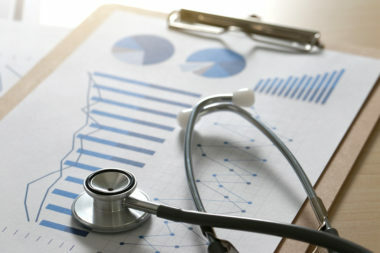 The researchers conducted interviews with major industry advertisers and analyzed 160 metrics from 16 third-party sources to determine the current state of the healthcare digital ad market and to understand how it’s expected to change in the coming years. The analysis included both desktop and mobile spend, as well as ads across display, video, and search (social media was not included). 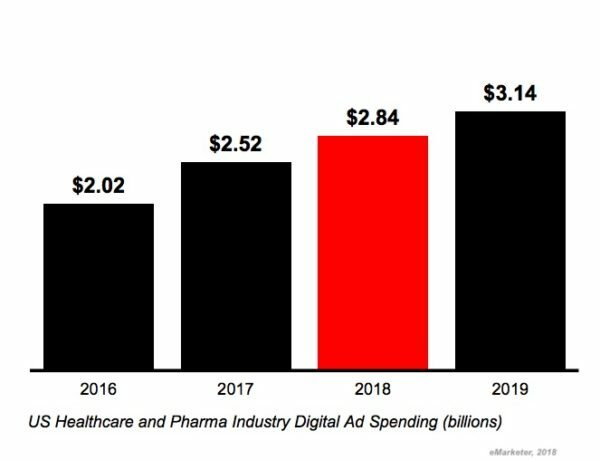 According to data cited by eMarketer, the US healthcare industry will spend $2.84 billion on digital advertising this year and is expected to spend $3.14 billion next year. Although the 13% year-over-year growth rate in 2018 and 11% growth rate in 2019 are strong, they’re not as dramatic as the rates seen over the past decade. Part of this is simply due to the market maturing: healthcare firms are already investing significantly in digital advertising and so additional spend doesn’t move the needle as much. Another possible explanation is that many US healthcare and pharma brands—especially very large ones—remain committed to television. According to Kantar Media data cited by eMarketer, industry spend on national TV ads was $3.45 billion in 2017, up from $3.11 billion in 2016. This commitment to television means that there’s only so much wiggle room in budgets for additional digital spend. According to data cited by eMarketer, some 56% of digital ad spend by healthcare brands goes toward display ads, 37% goes toward search, and the remaining 7% is split between other channels (social was not broken out). 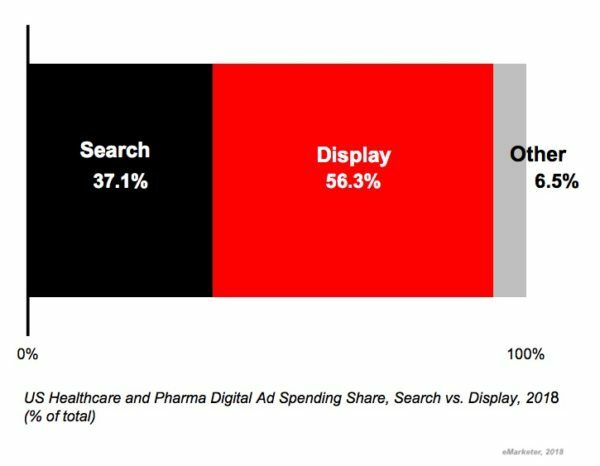 This year eMarketer projects that search ad spend by healthcare marketers will increase by 6% and display spend will increase by 17%. However, in 2019 the researchers forecast that search spend will increase by 11% as the cost of ads jumps due to competition for certain terms within the pharma sector. 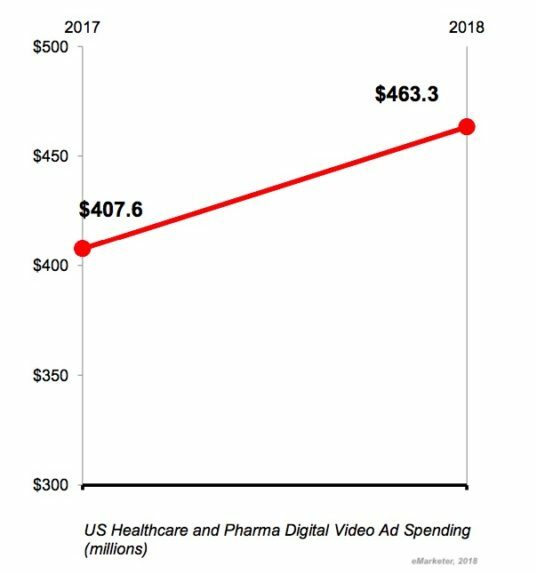 According to data cited by eMarketer, spend by US healthcare firms on digital video ads is expected to increase from $407 million in 2017 to $463 million in 2018. This additional spend represents a 14% year-over-year increase, and will result in digital video accounting for 29% of all digital ad spend by US healthcare firms in 2018. While these numbers are impressive, they actually lag other industries. An eMarketer analysis found that the average year-over-year increase across 11 verticals in digital video ad spend will be 22% this year and that digital video ads will account for 32% of spend, on average. For a while, mobile was struggling to receive its fair share of ad dollars from brands. 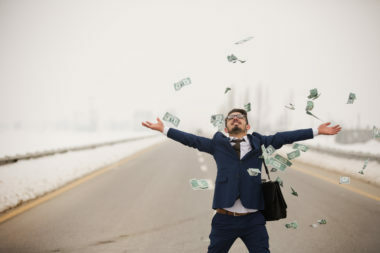 That disconnect between behavior and spend now appears to be fully bridged. 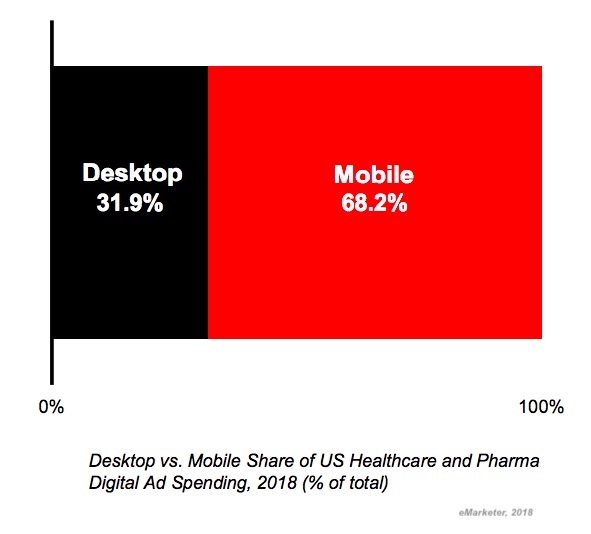 According to data cited by eMarketer, some 68% of digital spend by healthcare brands will go toward mobile ads this year and 32% will go toward desktop ads. The shift is by no means done. 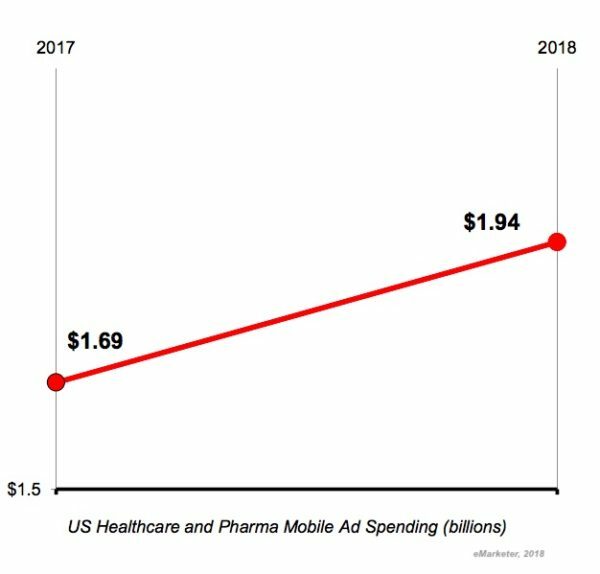 According to data cited by eMarketer, US healthcare brands will increase their mobile ad spend by more than $300 million this year alone. What should marketers make of all this data? Fundamentally, it appears that investment in digital advertising by healthcare brands has matured, with spend now set to grow slowly but steadily. That said, the space is still evolving rapidly and while brands in the industry are keeping up with some changes—such as the ever-increasing dominance of mobile— they may be lagging in areas such as digital video advertising. 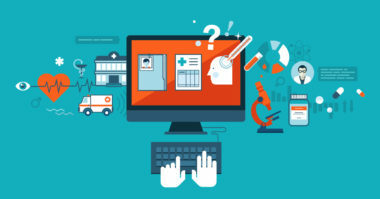 Stay up to date on the latest digital trends in healthcare advertising. Contact MDG Advertising today at 561-338-7797 or visit mdgadvertising.com. MDG Advertising, a full-service advertising agency with offices in Boca Raton and New York, NY, is one of Florida’s top healthcare marketing companies and branding firms, whose healthcare clients include Dental Care Alliance, FastMed Urgent Care, Max Planck Florida Institute, HCA East Florida, and MDVIP. MDG’s core capabilities include branding, logo design, print advertising, digital marketing, mobile marketing, email marketing, media planning and buying, radio and TV advertising, outdoor, newspaper, video marketing, infographic development, website design and development, content marketing, social media marketing, and SEO. To learn more about the latest trends in healthcare marketing, contact MDG Advertising today at 561-338-7797 or visit mdgadvertising.com.